Envault CEO and Filebolt Evangelist Yrjö Hyvärinen has identified the shared responsibility model as the single biggest way people can influence their online security in 2017. With cloud services becoming the industry standard, it is increasingly important to protect the digital assets inside these services in the event they are hacked. Cloud service providers like Amazon Web Services state they are responsible for security "of" the cloud, with customers having responsibility "in" the cloud. Responsible businesses, professionals and customers routinely protect their data and systems when hosted privately, and this should continue when hosting moves to the cloud. This does not happen in all cases currently, as consumers and businesses may not be aware of their responsibility. Filebolt allows its users to protect and access files across multiple platforms, including iOS, Android, Mac and Windows. The service encrypts files with passwords chosen by users, and does not store any user information on its own servers. "... shared responsibility is already a common approach in physical world. E.g we trust car parking facilities to be secured but we still lock our cars with own keys, we think hotels are protected but we still lock the doors etc. We want people think the same way in digital world. Take control in their own hands." FILEBOLT™ is a cross-platform file protection service that offers enterprise-grade protection with a single click, safeguarding digital property against hacking and keeping it inviolable even if the storage medium or service is breached. 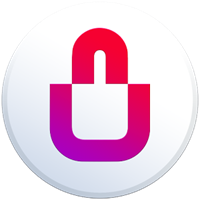 Compatible with all major desktop and mobile devices, operating systems and file formats, FILEBOLT™ combines an intuitive interface with encryption technologies developed at VTT (Technical research Centre of Finland). A brand of Envault Corporation, FILEBOLT™ is a subscription based service for consumers, prosumers and enterprises, making file protection as easy as the clicking save button. Envault Corporation was founded in 2007 and has a strong customer base in both goveernmental and enterprise sectors. Its encryption technology is patented and proven in the most demanding environments.